Our dental office has affordable dental implants. We anchor artificial tooth roots into your jaw. This procedure will hold a replacement tooth or bridge in place. The benefit of using implants is that they don’t rely on neighboring teeth for support. They are permanent and stable. Implants are an excellent solution to tooth loss. They look and feel like natural teeth. We made the implant material from different types of metallic and bone-like materials. There are different types of dental implants. We place the first into the jaw bone, like natural tooth roots. The second is used when the jaw structure is limited. A custom-made metal framework fits directly on the existing bone. 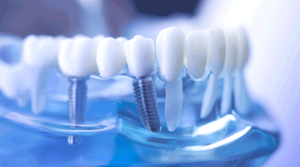 Implants can now be used to support cemented bridges, eliminating the need for a denture. The cost tends to be greater, but the implants and bridges resemble real teeth. Can anyone receive dental implants at Promenade Dental Office? Talk to Dr Bao about whether you are a dental implant candidate. You must be in good health and have the proper bone structure and healthy gums for the implant to stay in place. People who are unable to wear dentures may also be good candidates. The success rate of implants is not as good for those with chronic problems. Issues include clenching, bruxism or diabetes. Additionally, people who smoke or drink alcohol may not be good candidates. The dentist must perform surgery to anchor the “artificial root” into or on your jaw bone. The procedure is done in the dental office with local anesthesia. The gum is then secured over the implant, which will remain covered until it fuses with the bone. The dentist then uncovers the implant and attaches an extension, or post, to the implant. With some implants, the implant and post are a single unit placed in the mouth during the initial surgery. Finally, the dentist makes an artificial tooth, or same day crown, that is attached to the implant post. The process can take up to nine months to complete. Each patient has different heal times. After the implant and posts are placed surgically, the healing process can take up to six months. The fitting of replacement teeth heals in no more than two months. With good bone quality, posts and replacement teeth can be fitted in one appointment. The success rate for dental implants depends on the tooth’s purpose and location in the mouth. It is also affected by the patient’s overall health. Poor oral hygiene is a big reason why some implants fail. It is important to floss and brush around the fixtures at least twice a day. Your dentist will give you specific instructions on how to care for your new implants. Additional cleanings of up to four times per year. The doctor may recommend this to ensure that you retain healthy gums. Implants cost more than bridgework because they involve surgery and are more involved. Some dental procedures may be covered by dental insurance. Your dentist can help you with this process. 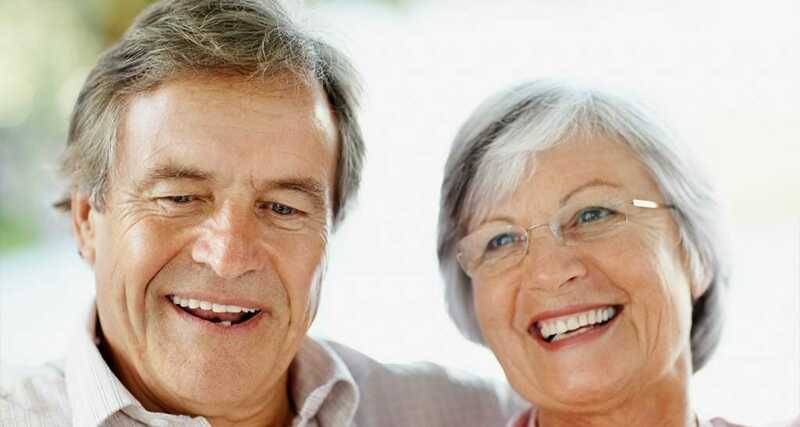 Temecula dentures dental office offers affordable pricing.